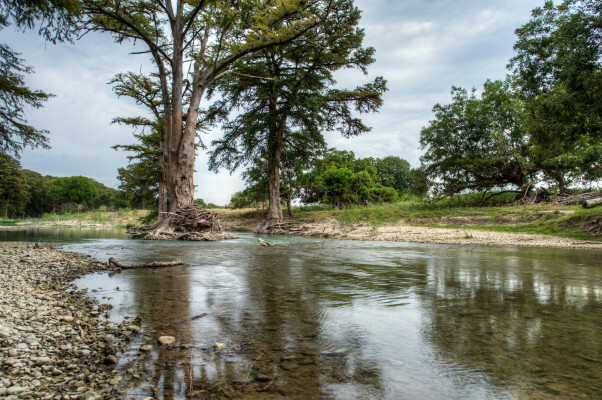 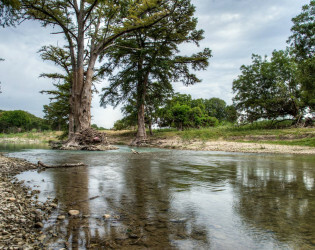 Enjoy real, true, Texas under hundred-year-old cypress trees on the banks of the Guadalupe river. 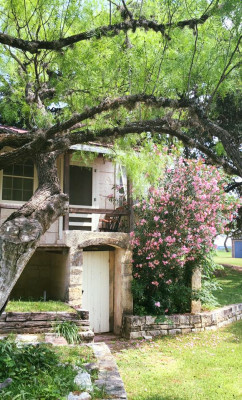 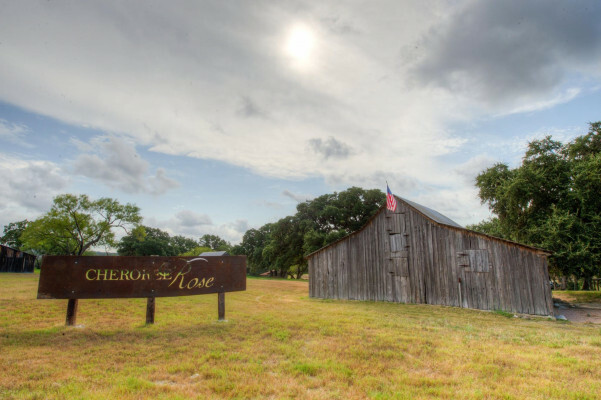 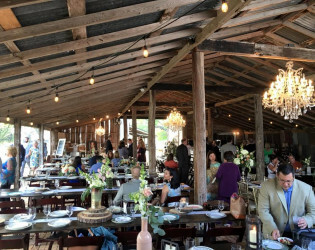 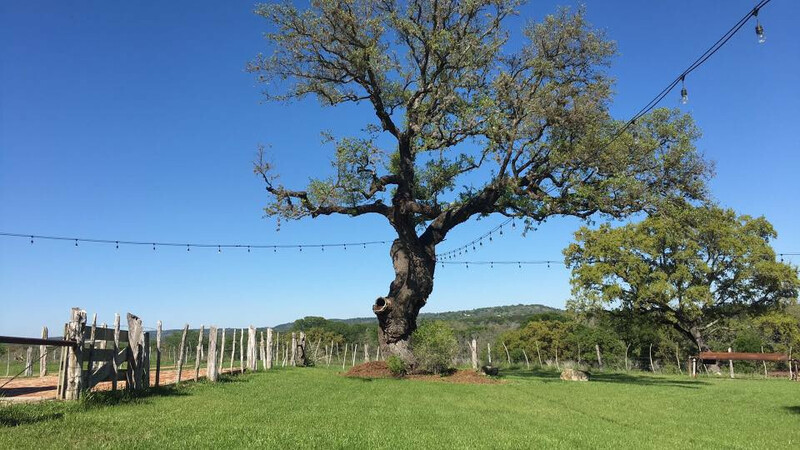 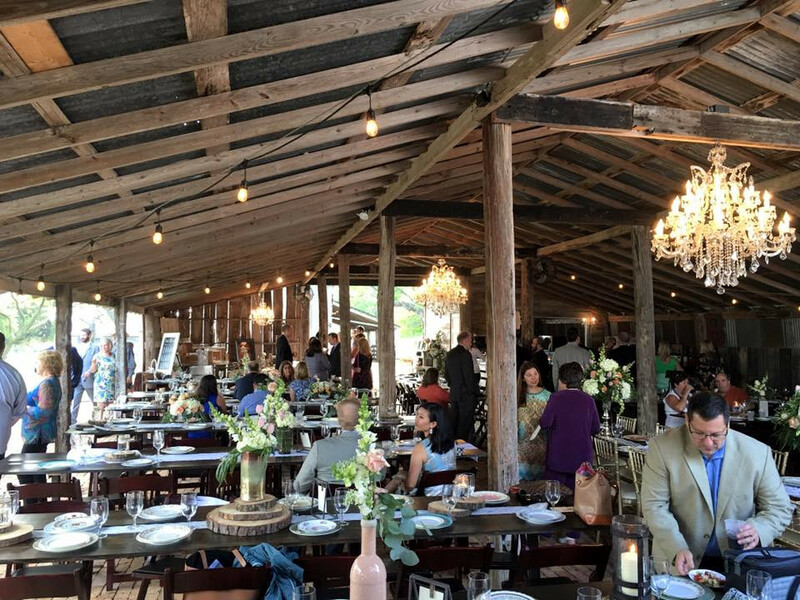 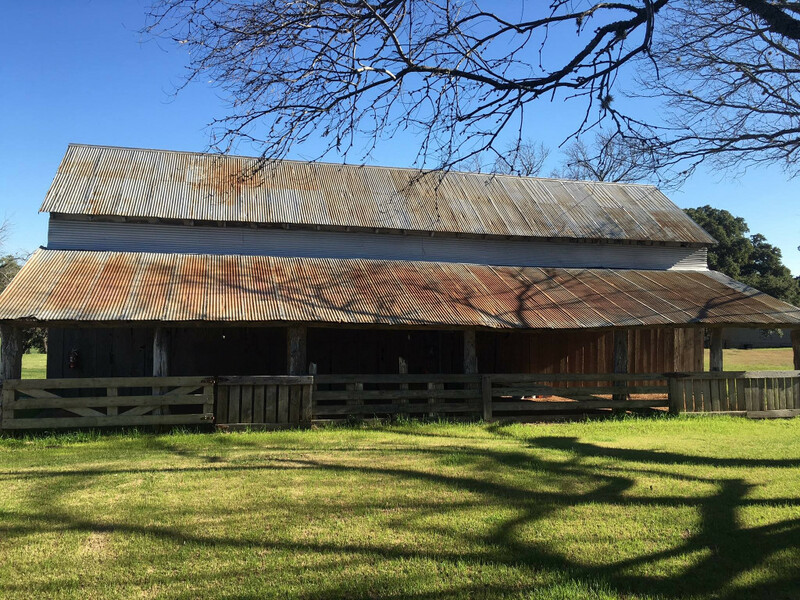 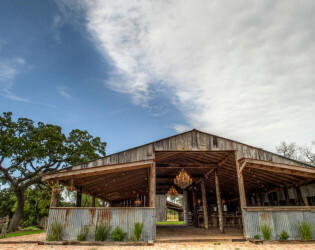 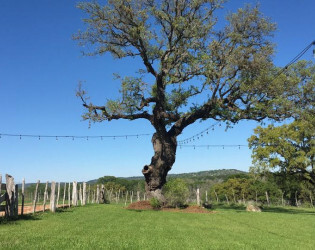 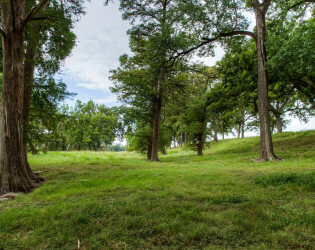 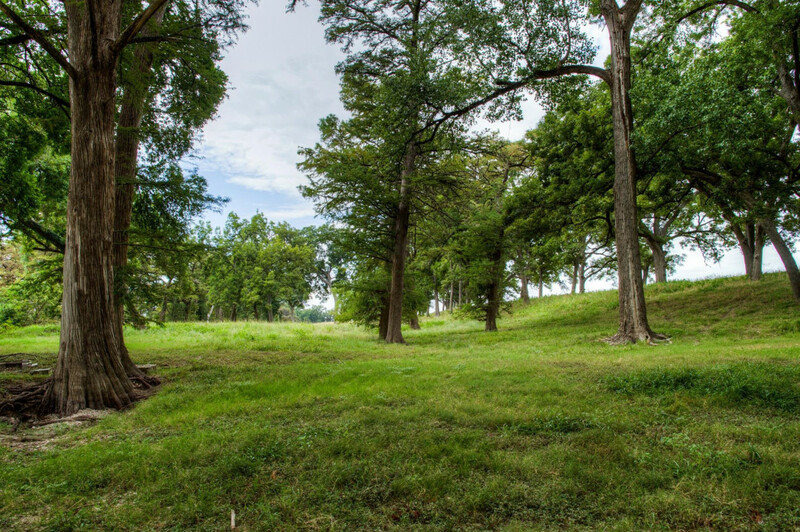 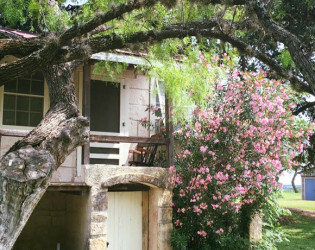 Centuries' old Live Oaks, the untainted Guadalupe River, an 1800's 8 acre authentic ranch, rolling Texas Hill Country hills, AND the beautifully haunting Old no. 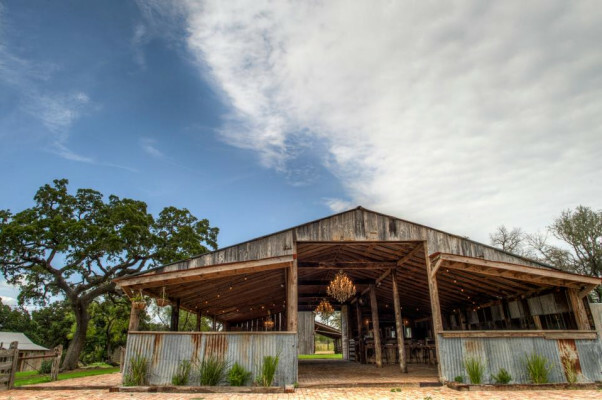 9 Railroad Bridge are what your eyes bounce back and forth as the venue backdrop! 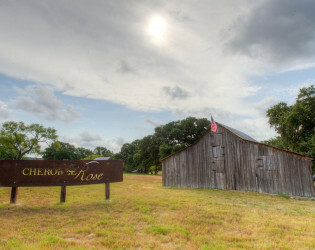 The history is present, the spirit is unforgettable. Our architecture doesnt overwhelm our natural beauty...our ranch, our Guadalupe riverfront, our hill top centuries-old farm, & our wide open star-studded skies. 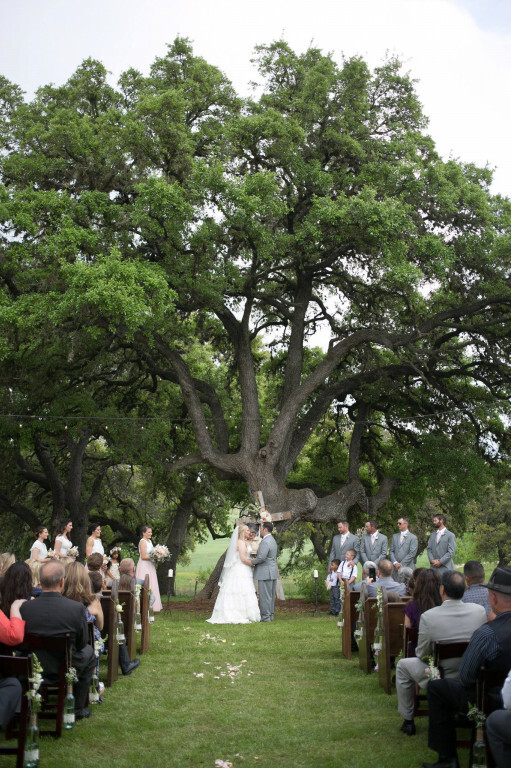 And like everything else, our passion, our love, our faith, & our hope is pure. 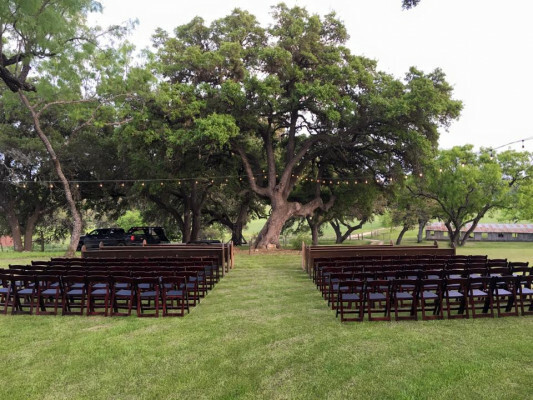 Centuries' old Live Oaks, the untainted Guadalupe River, an 1800's 8 acre authentic ranch, rolling Texas Hill Country hills, AND the beautifully haunting Old no. 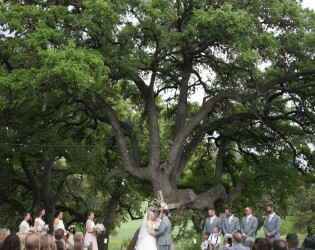 9 Railroad Bridge are what your eyes bounce back and forth as the venue backdrop! 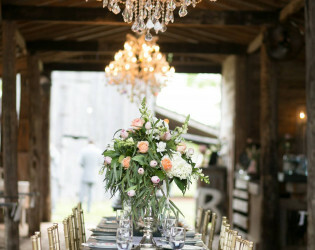 Our own little recent touches like elegant chandeliers above you & Chicago brick under your feet. 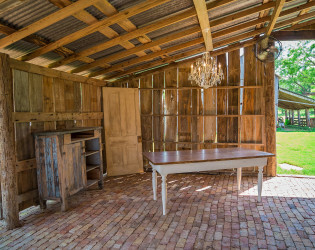 The 1843 German home was recently refurbished into the bridal changing suite. 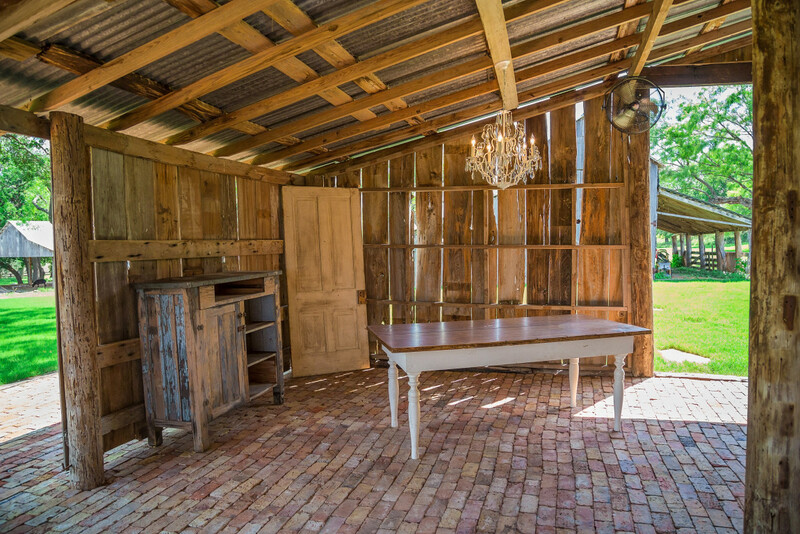 A old feeder turned into a fire pit perfect for s'mores bar! 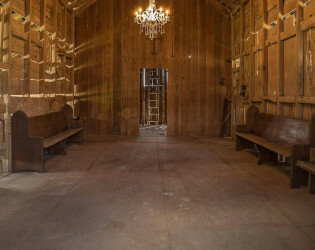 Wood long tables, wood church pews, wood wedding chairs, spools for cake or cocktail tables. 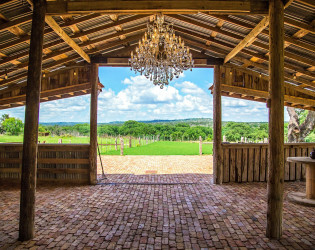 Our architecture does not overwhelm our natural beauty...our ranch, our Guadalupe riverfront, our hilltop centuries-old farm, & our wide open star-studded skies. 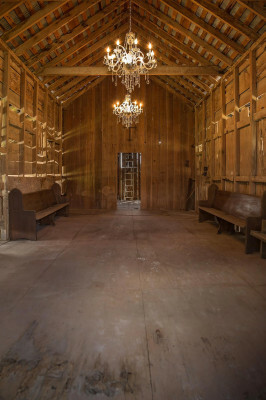 Elegant chandeliers in the barn. Beautiful backdrop for your wedding. Ceremony site in front of a hundred year old oak tree here at Cherokee Rose. 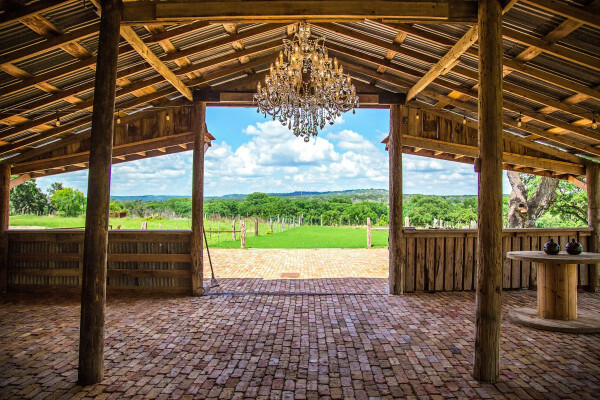 Covered reception space for your next event! Looking for a small ceremony location? We have a 1800's dairy barn, The Belle. 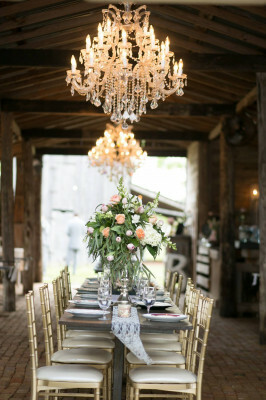 With elegant chandeliers giving The Belle a romantic feel! Old barn with a lot of history!